My creative process is a combination of instinct, discovery and letting the things that inspire me percolate and come to the surface as I work. 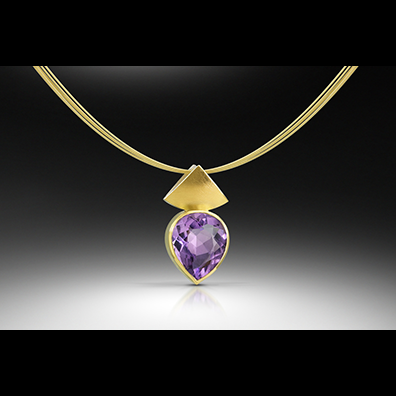 The act of creating jewelry in itself is often where new ideas are born. I am drawn to geometric forms that are balanced and still retain a feeling of joy. I like to make bold and sometimes clever designs while paying attention to contrasts in color and the play between positive and negative space.